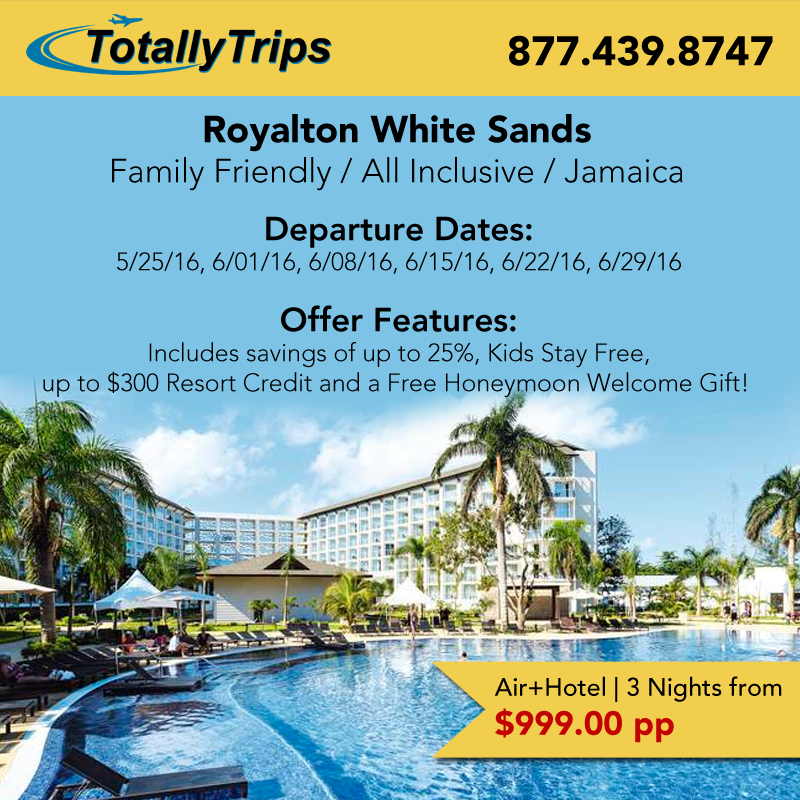 Visit Jamaica this summer and stay at the All Inclusive Royalton White Sands! 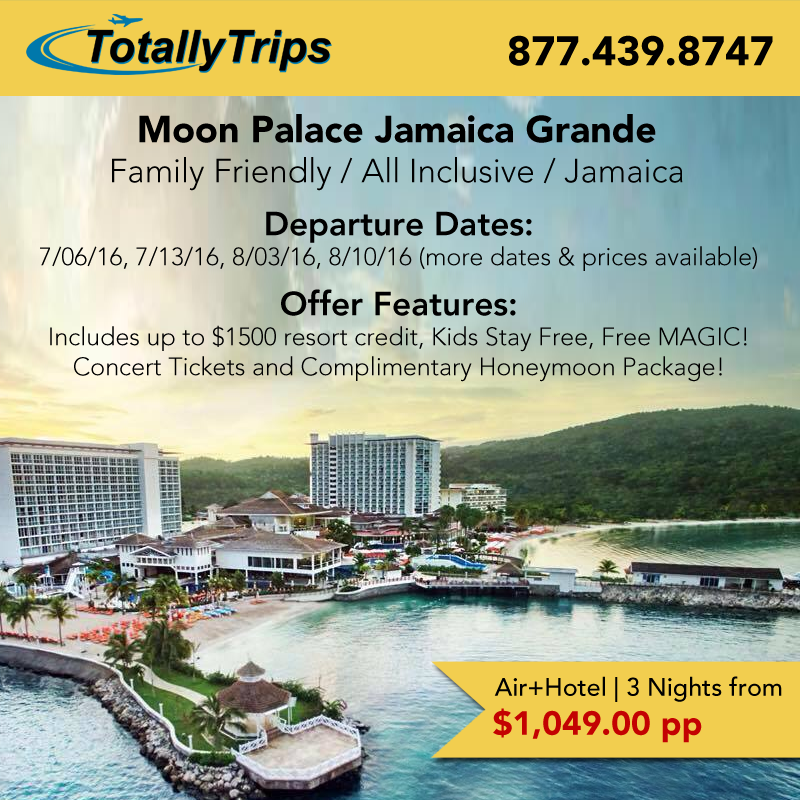 Visit ‪Jamaica‬ with the whole ‪family‬ this July and experience the NEW Moon Palace Jamaica Grande! Overlooking the bright blue waters of the Mexican Caribbean, families, spa enthusiasts and active travelers are in for a treat during visits to the all-suite Gran Caribe Resort & Spa. Nestled in a prime location in Cancun’s Hotel Zone, the Gran Caribe Resort & Spa is literally across the street from Cancun’s popular dining, shopping, entertainment and nightlife, allowing guests an endless selection of things to do and see. Whether you are swimming in one of the sparkling pools while your little ones participate in the kid’s activities programs or play in the pirate-themed water park, dining at one of the resort’s excellent all-inclusive restaurants, or enjoying complete pampering with a massage at the spa, guests at the Gran Caribe Resort & Spa are in for a treat. Voted one of Conde Nast traveler´s Top 100 Hotels in the world, El Dorado Royale, a Spa Resort, by Karisma is Mexico’s premier adults-only, beachfront resort where couples, wedding parties and honeymooners savor a Karisma Gourmet Inclusive® Experience. Luxuriously romantic, stretching along a secluded beach, the resort provides indulgences from gourmet cuisine, to swim-up suites, to a lavish spa and concierge service. Located in the heart of the Riviera Maya, facing the beautiful Mexican Caribbean. 25 minutes south of Cancun International Airport, 15 minutes north of Playa del Carmen, just 10 minutes away from “Mayakoba championship” golf course, 25 minutes away from the “Playacar Golf Club” and numerous wonderful sinkholes (Cenotes), 5 minutes south from Puerto Morelos and 35 minutes south of downtown Cancun. The Hotel Riu Palace Tropical Bay (All Inclusive 24h), is located at the famous Bloody Bay beach in Negril, Jamaica, one of the best resorts in the area par excellence. Its Victorian style inspires harmony and calmness surrounded by a 47,000 m2 garden. There‘s no better way to relax than in a Riu Palace with all the options for relaxation it has to offer. The complex includes two fresh water swimming pools, a solarium terrace, gym, Jacuzzi, sauna, the “Renova Spa” wellness centre and a vast beach where you can sunbathe and enjoy a drink. The 24h All Inclusive system gives you the opportunity to sample the best Jamaican cuisine prepared by our chefs for the buffet restaurant or the delicious menus in the themed restaurants: a wide variety to satisfy every palate. Fall in love with Negril and have your best holiday at the Riu Palace Tropical Bay. 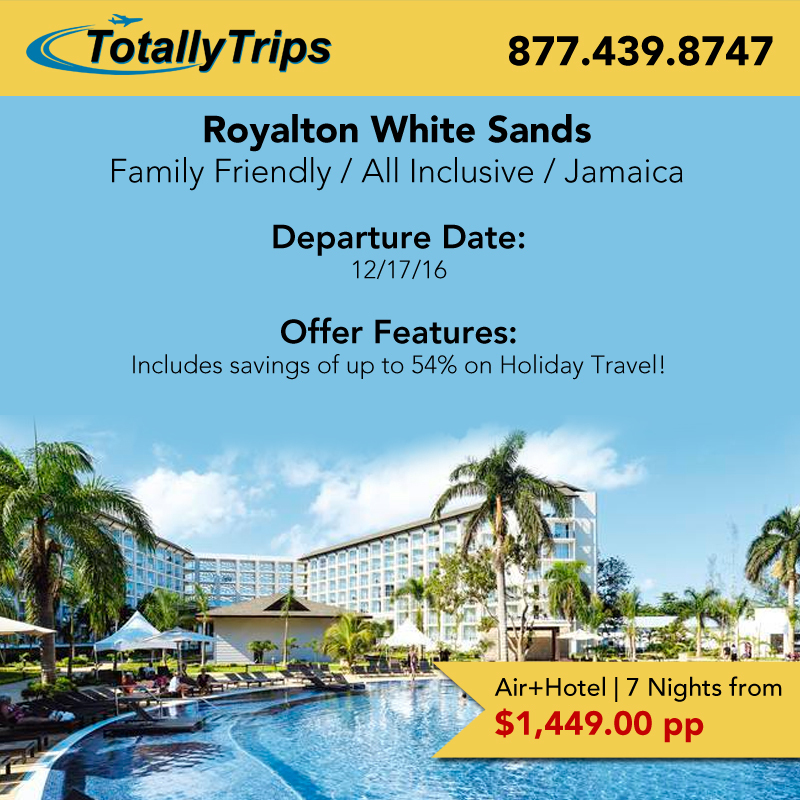 Last Minute Deals from St. Louis Featuring Royalton White Sands! ALL NEW Last Minute Deals from St. Louis this week starting from $699 and includes savings up to $300!